Gynecomastia is a rare condition in men, resulting in abnormal growth of breasts before puberty.This problem is not serious, but it doesn’t go away then you should take medication. According to the results, the doctor will tell to the next step in the treatment which may include Computerized tomography (CT) scans, Magnetic resonance imaging (MRI) scans, Testicular ultrasounds, Tissue biopsies. Gynecomastia surgery takes up to 2 to 3 hours. The patient can recover in a short span of time. The cost of the surgery depends upon the case of the patient or other factors such as the doctor’s experience, locality and the services given to the patient. Are Essential Oils Harmful To The Body? Essential oils are popular among many people. These are derived from plants such as rosemary, lavender, tea tree etc. The essential oils are found in different products such as beauty products, for household cleaning, lotion ,and soap. The oils are very helpful in treating medical conditions such as giving body massage and head massage. But are these oil causing any health issue? 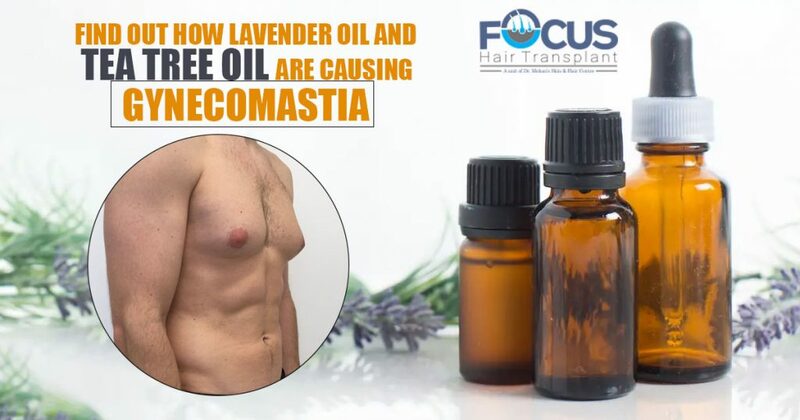 Because of the use of essential oils, many cases of Gynecomastia have been reported. Many researchers have said that the essential oils contain some product which causes environmental issues. The problem faded away when they stopped using essential oils such as lavender oil and tea tree oil. According to Ramsey, it is found that almost 65 essential oils contain chemicals which are not appropriate to use. Another major concern is that the essential oils are available anywhere and without any prescription. Any Person Can Easily Sell The Product At Any Place. The best way is to check the ingredients properly which are mentioned on the bottle. The person may be allergic to something or some product may not suit your body. In case you are pregnant, it’s better to consult your doctor that whether these oils would be suitable or not. Don’t buy products from anywhere. Keep in mind every essential oil cannot be used directly on the skin. Essential oils are not suitable for children below the age of 3.